The Pattern can be found HERE. I loved using my Featherweight to make these bags. It's perfect for doing the rounded corners with the bias binding - I use the Seam Guide that comes with most Vintage Sewing Machines and the binding comes out so neat! Free Motion Quilting on my 222K was just fantastic! All I had to do was drop the feed dogs and away I went. Perfect stitching immediately...... no fiddling around with tension settings or anything. 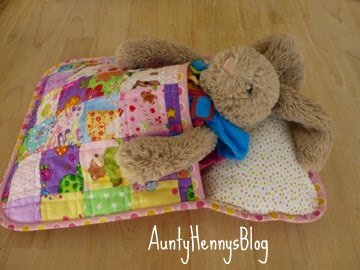 Due to its small size, I would not want to attempt too large a project for FMQ on the FW but it's just perfect for cute little things like these sleeping bags. I would probably use it for a crib size quilt but nothing larger. It would be good for Quilt As You Go blocks and then perhaps finish them off on a larger machine. The two large sleeping bags are upsized from the Papa Bear Pattern and the little pink sleeping bag is the Baby Bear size. I did some straight line quilting on the quilt fronts (used the walking foot guide on the little pink bag) and FMQ the mattress part. not bad! very neat zig zag for a vintage attachment! and a cute box ! ! Yes I own a modern sewing machine that can do zig zag and all manner of fancy stitches but honestly this little vintage attachment is absolutely amazing! a wonderful piece of engineering and all I had to do was give it a little oil and away I went. The attachment forms the zig zag by moving the fabric left and back to the middle. It was such fun! I remember my Mum putting an edge on our clothes she made for us when we were little and this is how she did it. I have a Buttonhole attachment too and I remember Mum saying that it's the best buttonhole you could ever make! I will play with that attachment one day too. This attachment will fit all of my Vintage machines. winding my first bobbin - WOW .. what a perfect bobbin! I bought it some months ago and it did not have the wooden handle on the Hand Crank. My wonderful Brother-in-Law fashioned one for me out of an old hand crank drill. Isn't it lovely? The machine sews beautifully. I made a Siggy Block to test it out. It is quite easy to sew with your left hand! the trick is to NOT look at your right hand as it turns the crank. I found it very easy to sew straight and keep a 1/4" seam. I think I will have fun with this new toy! Very cute. It looks like you had a lot of fun playing with the zig zags too? 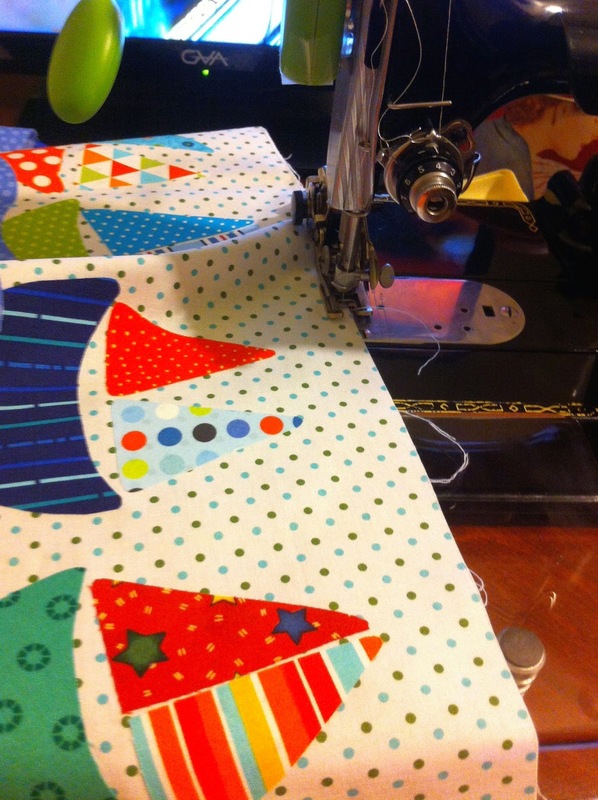 Interesting post Helen - love the litle sleeping bags and what fun sewing with your vintage machines! routine test of "no reply blogger"status.